The holy month of Ramadan will finally come to an end this week. 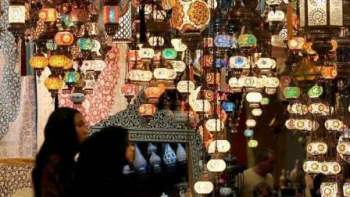 Most residents in UAE will enjoy their Eid Al Fitr holidays from June 14 (Thursday) to June 16 (Saturday). Pakistani singer Atif Aslam will perform in Dubai on the occasion of Eid Al Fitr on June 17 at at the Sheikh Rashid Hall at the Dubai World Trade Centre. The event will take place from 8pm onwards. Go ahead and listen to his chartbusters like Dil Diya Gallan, Tere Sang Yaara, Kuch Iss Tarah, Pehli Nazar Mein, and many more. Tickets are available on Platinum List, starting at Dh110. Shopaholics, get ready. 14 malls across Abu Dhabi will be offering shoppers discounts of up to 90 per cent for 24 hours. With more than 500 stores involved, the sale will kick off at 10 am on Friday, June 15, and run until 10am on Saturday, June 16. A trio of top-selling Pinoy musical artists will raise the roof at Dubai World Trade Centre on 16 June as the venue hosts the biggest Kapuso concert of 2018 to date, with Asia's songbird Regine Velasquez teaming up with Christian Bautista and Julie Anne San Jose on the same stage for an evening entitled '3 Stars, 1 Heart'. Reach in advance and secure a place for yourself for the 9pm and 10.30pm show at Festival Bay. From top restaurants and cafes, you can check out the 17-day Ramadan night market before it ends on June 16. The market is located in the Happiness Market at Zabeel Park.